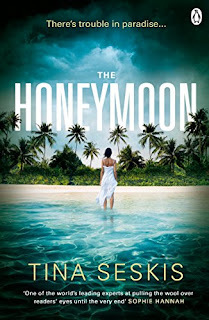 While Jemma and her new husband are on their honeymoon in the Maldives, a drunken argument turns violent. As the days pass and he still hasn't returned to their holiday bungalow, the police are called to investigate. 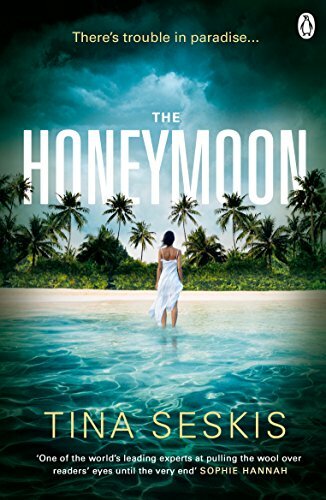 What should have been a honeymoon in paradise soon turns into Jemma's worst nightmare. I loved how this book switched between the past and present as the story slowly unfolds then climaxes. Jemma's relationship with her husband's family is deliciously fraught with twists and turns that left me breathless. The writing is excellent and the descriptions of paradise tainted by tragedy are perfect. There is so much angst bubbling just under the surface you can almost reach out and grab it. Just when you think you've got it solved, the author throws another juicy tangent into the mix. A fantastic book for summer reading. My thanks to Tina Seskis, Penguin and NetGalley for providing a copy of this book.